In episode 3, we talk to Nick Kester about falconry at the Falconry Festival near Reading. We also discuss the cancellation of the CLA Game Fair and other effects of the recent bad weather. And we announce the winner of the Sporting Shooter Beater of the Year Award. Music by The Pubcrawlers at podsafeaudio.com. I visited this amazing one-off event today. Two impressions really stand out: First, the majesty of the birds themselves, from the tiniest hawk to this impressive golden eagle. And second, the sense of culture and tradition surrounding this sport, with falconers from all over the world coming together in a colourful melee of birds, dogs, horses (even camels) and traditional costume - the stands included Bedouin tents and Far Eastern yurts, as well as the more familiar game fair style canvas shedding. I can't help feeling that some of our traditional sports in Britain have rather lost their roots. Perhaps we should resurrect some old shooting and hunting songs, and invite a few indigenous hunters from around the world to parade at the CLA Game Fair?? One thing that didn't surprise me was to learn that DEFRA are all over falconry like a rash, with countless forms and licences and approvals and best practice guidelines. Thank heavens they don't leave it up to us. Can you imagine what a mess we'd make of things?! When I shot at West London earlier this week I took the chance to try out the Napier Pro-9 ear defenders which I've had in the car for ages and not got round to testing. I never really had much confidence in them, to be honest. They just don't look like they're capable of making any real difference to the noise of gunfire. A couple of years ago I made myself temporarily deaf trying out another brand of earplugs on a simulated game day. My whole head seemed to be ringing for three days afterwards. So I'm reluctant to sacrifice what's left of my hearing in the name of journalism! Still, memory fades, and it seemed the right thing to do - so I wore the Pro-9s to shoot 150 or so shells at W London. Result? Total astonishment! They really do work. No batteries, nothing stuffed inside your ears, no clunky cans on the side of your head. And most of all, no ringing in the ears afterwards. OK, they feel different, but after a couple of stands I had forgotten about them. Like plugs, they do muffle normal conversation, but I managed to hear the instructor's curses well enough! I only had one minor niggle - the thin band across the top tends to slide backwards, so the whole unit pivots about your lugholes until you're wearing it around the back of your neck - although it still works in that position of course. Maybe I'll experiement with taping a bit of foam rubber around the top band. Overall: at under £25 they're not ridiculously priced, and I found them more comfortable and effective than my usual plugs. I reckon I'll be using them a lot more in future. Today was one of those rare treats when I get to escape the office and have fun - and call it working! Myself and a bunch of other sporting journalists went to the excellent West London Shooting School at Northolt, to try out the new Kubota RTV900. Kubota had also laid on a few clays for us, so we were split into four groups to tackle the high tower, grouse, a fiendish pigeon stand, and a cross-country course in the Kubota. 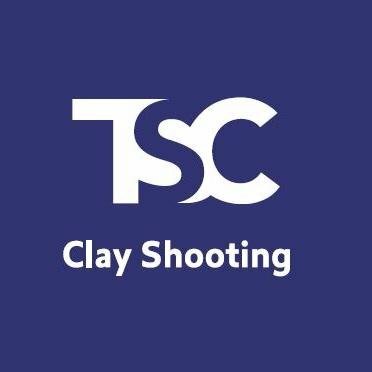 Well, I didn't win the clays (no surprise to those who've seen me shoot) - that honour went to Wes Stanton with a superhuman 24 ex 25. But at least I didn't shoot like a total muppet either, and managed a respectable 18 on the grouse. I'm always a bit cynical about these press do's, but I have to admit that the Kubota really is an impressive vehicle. It tackled some alarmingly steep slopes with ease, even in two-wheel-drive. It's comfortable and easy to drive, economical on diesel, and would carry a few feed hoppers or dead stags with ease. It felt rugged too, but on that only time can tell. If you're a keeper or stalker looking for a new estate vehicle, it's certainly worth a look. Here's a pic of me sitting on one and grinning like a cheshire cat! So much for those who said it was a flash in the pan! Here's episode 2, a whole 27 minutes long. In this episode, I report from the Game Conservancy Scottish Fair. We meet Alan Stewart, the Tayside Police ‘Wildlife Detective’, who turns out to be a keen shooter and enthusiastic about the support he gets from gamekeepers. We also hear from BASC Scotland’s James Scott on game licences and general licences, Alistair Rutherford on marketing Scotland’s country sports to tourists, and Adam Smith on ticks and prospects for this year’s grouse season. I've just got back from the Game Conservancy's Scottish Fair (www.scottishfair.com). It's the first time I've managed to attend this event, and I enjoyed it enormously. It's well-run, has a great atmosphere, and to my mind is just the right size for a fair of this type - not too big, not too small. For me, it was a great opportunity to meet some of our Scottish readers, to catch up with old friends and make some new ones. 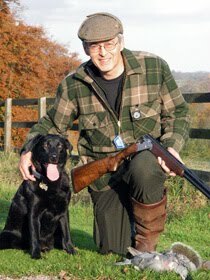 I also got some fascinating interviews for the magazine and the podcast - on a range of subjects: from ticks, to grouse prospects for this season, to how keepers are helping in the fight against wildlife crime. The only downside to the fair was the torrential rain which hit on Saturday afternoon - which washed me out of the tent at the back of the stand where I'd been camping, so the last night was spent in the car! Watch the magazine and the podcast for more on what we got up to at the fair - and make a date to attend next year; it's a great event!